September Can Be the Cruelest Month for Your AC | Air Creations, Inc.
After a long, humid summer here in Summit, you might notice that your air conditioning isn’t running at peak performance levels. While you might think it’s too late to have your air conditioning serviced and that it’s a better idea to wait until next spring, you’d be wrong. It is late in the season, but it’s never too late to have a system tune-up. Having your system serviced now will help you face any summer temperatures that linger into fall with ease. A service at this time also allows you to rest assured knowing that your home is prepared for next summer. At Air Creations, Inc. we understand air conditioning in Summit, NJ and we’re committed to satisfying our customers. If you’re having any of these air conditioning problems, it’s probably a sign that your air conditioning has worked a little too hard this summer. A tune-up before you shut your system down for cool weather saves you a future headache. Short cycling is a term used to describe your air conditioning system constantly turning on and off. As the temperature in your home rises or cools your system should turn on and off but doing this too often is unnecessary and a sign of error. If this is something your system has recently started doing, then it’s likely that you’re experiencing some form of an electrical problem. Common electric problems that cause short cycling are bad wiring, loose wires, or a faulty power source. If you’re experiencing short cycling, you should seek the aid of a professional immediately. This is a common occurrence with air conditioning systems because condensation naturally occurs when your air conditioner operates. If you notice that liquid is pooling from your central air conditioning system, it’s likely due to improper installation. The warm months of the year exacerbate existing problems with your system because of the humidity levels. If the weather is extra humid and your system is already draining improperly, this causes your condensate drain to clog. 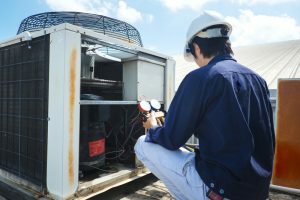 A common reason we see homeowner’s schedule AC maintenance and repairs around this time of year is because they’re hearing odd noises whenever they turn on their air conditioning. While it’s unrealistic to expect your air conditioner to run completely, there shouldn’t be noises like whistling, rattling, or grinding coming from your unit. If you hear these sounds, it’s probably because of you need to clean your ductwork or fans. Dust and debris accumulate in these places and causes noise. Scheduling air conditioning maintenance annually helps you avoid these noisy issues in the future. Late summer and early fall are the times of the year when faults within your air conditioning system start to make themselves evident. 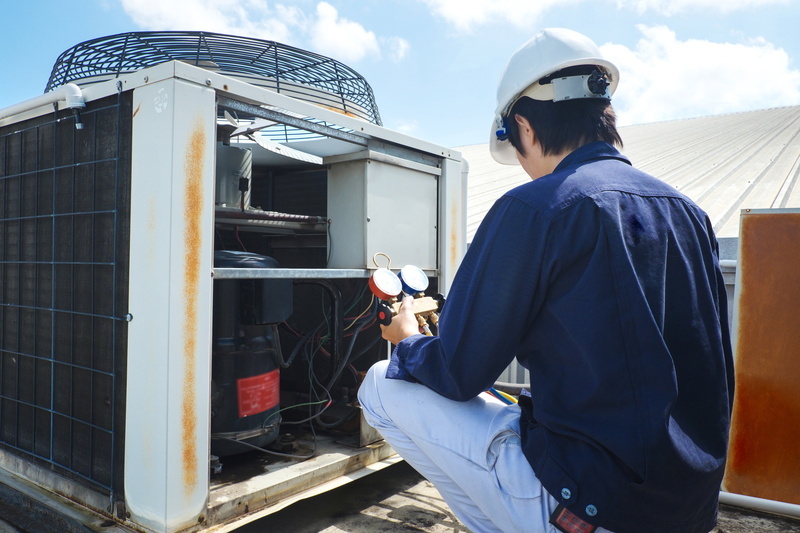 Although it may seem like an inconvenient time to get your air conditioning serviced because you’ll be shutting it down so soon, it’s better to have a last-minute service than to have no service at all. The idea of a brisk New Jersey fall can lull you into a false sense of comfort but don’t let September be cruel to your air conditioning—strengthen your system.